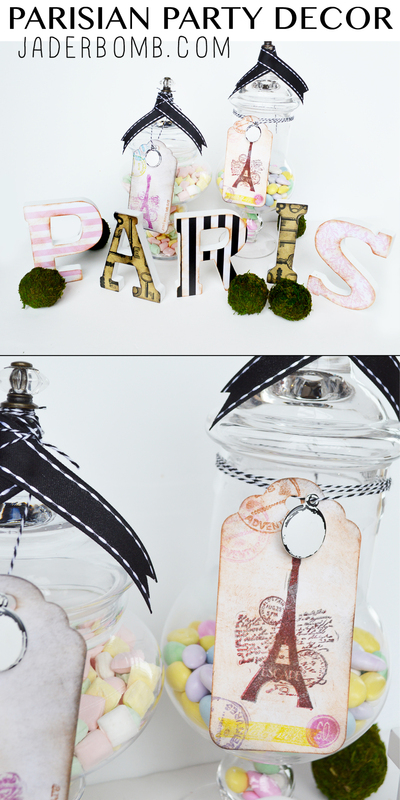 Today I am super excited to show you my Parisian Party Decor!!! 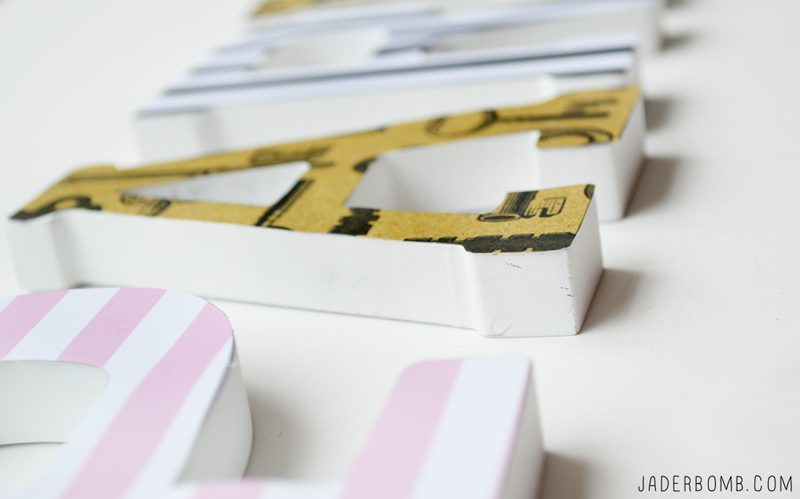 This was a fun post because I used my favorite colors pink and black/white stripes. If you know me then you know this is right up my alley. As a Michaels Maker, Michaels challenged me to create something “Paris” based and the fabulous news is you can ALSO win a TRIP TO PARIS!!!! YOU HEARD THAT RIGHT! A TRIP TO PARIS!!!! Don’t forget to enter the contest too – you can upload to the Paris site HERE or share on Instagram using #SpringtimeinParis #Contest beginning on 3/1. The first thing we will tackle is the letters. 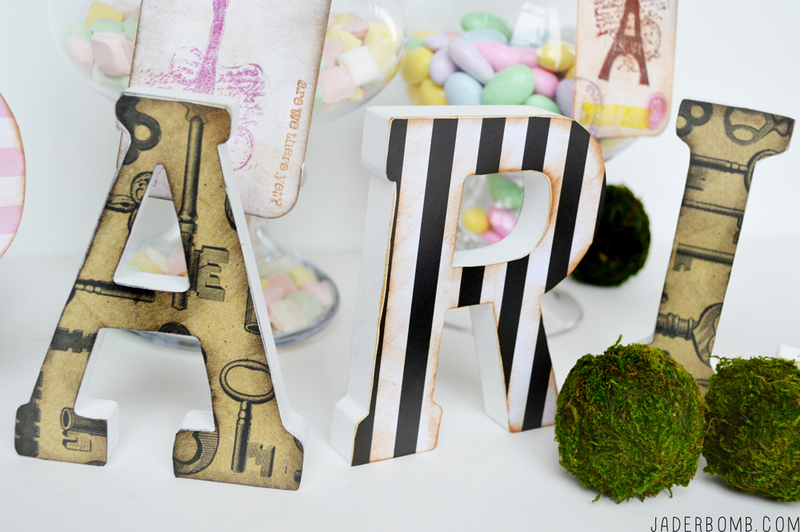 I love this craft because you can spell out ANYTHING and dress up ANY space! Grab your scrapbook paper and letters! 1. Place your letter on your paper and trace it out. Next will be the antique stage of the letters. Now they look snazzy just the way they are but I wanted them to look a little worn! You will grab your ink pad (your choice of color), I use the sepia because it looks naturally old. Rub the edges of the letters and a little bit inside the letters. You will do the same thing for the labels. 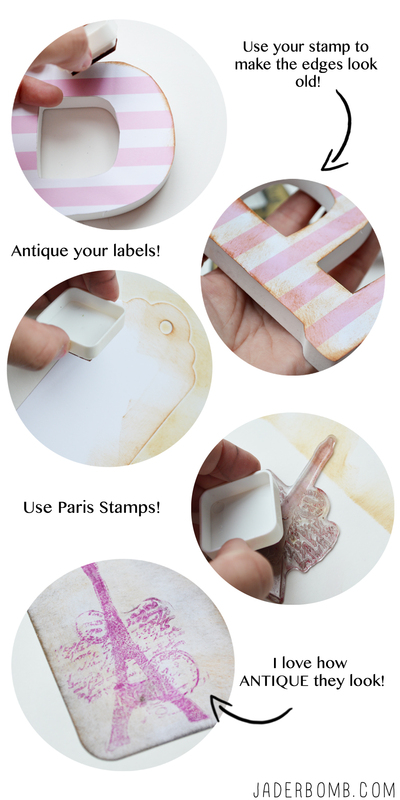 Once you are done with your labels you can start to add whatever rubber stamps on them as you like. To dress up my jars I added these decorative knobs. To apply add a little dot of hot glue then smack that baby down! 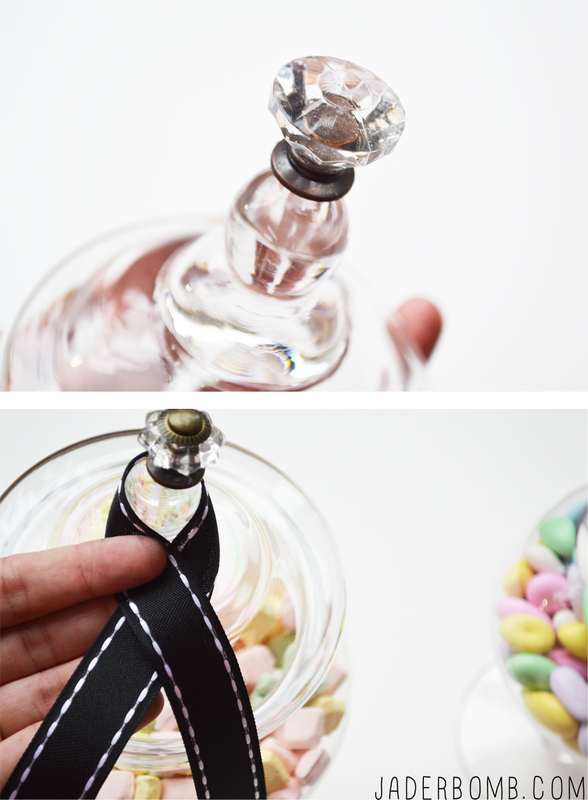 Cut a piece of ribbon and wrap it around the neck of the jar. Adhere with a drop of hot glue. I am truly happy with this project! The ideas are endless. 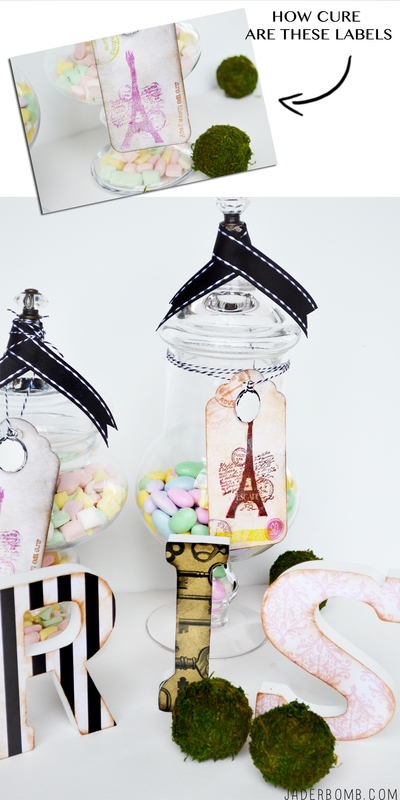 You could spell out TONS of things and have TONS of jars filled with lovely candy and adorable handmade labels. 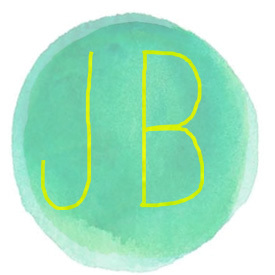 I purchases all of my materials from Michaels and I know you will have a blast doing them! 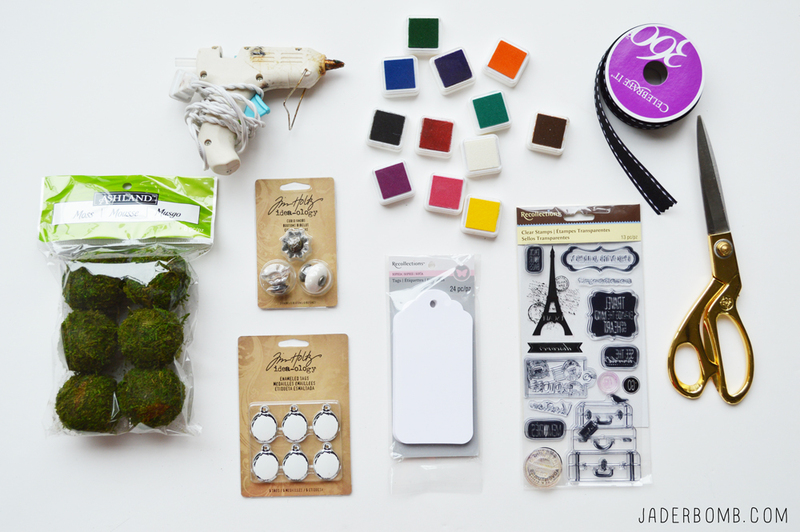 If you need a little Paris inspiration to get you started, take a look at some of the Springtime in Paris projects on Michaels.com.· Now it’s your turn! That’s right, you can enter to win the trip of a lifetime to Paris too. How? 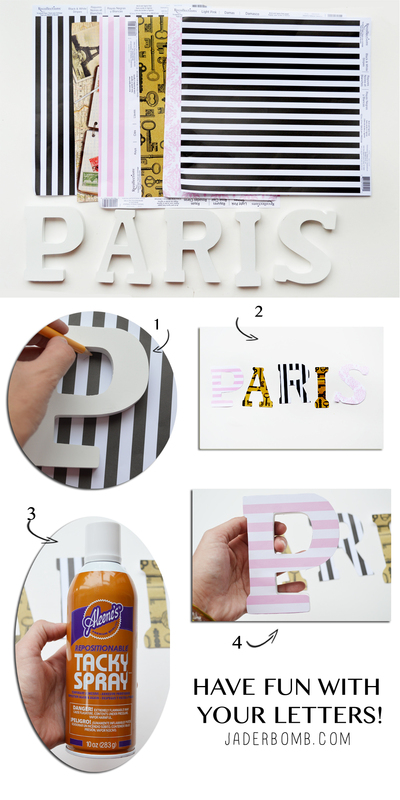 By creating your own Parisian-inspired art, floral, baking or paper crafting project and uploading a photo to https://paris.michaels.com/ through March 31. You can also share your project on social using #SpringtimeInParis #Contest. HUGE LOVE FROM MY COMPUTER TO YOURS!!! 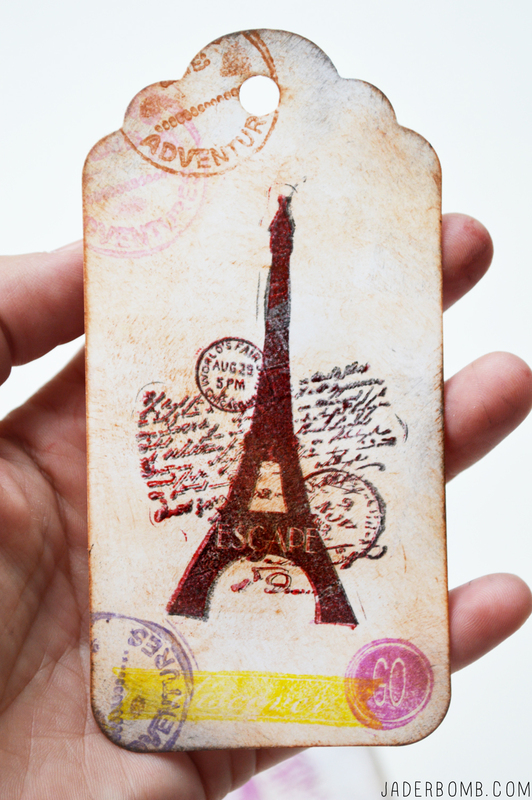 Don’t forget to enter the contest too – you can upload to www.paris.michaels.com or share on Instagram using #SpringtimeinParis #Contest beginning on 3/1.